OptionsXpress was acquired by Charles Schwab Corporation in 2011. OptionsXpress has consistently been awarded top-star rankings in Barron’s Magazine, and been awarded top rankings by personal financial publications, including Forbes and Kiplinger’s. OptionsXpress as its name suggests has a core expertise in serving options traders. The trading platform caters to options traders of every level: beginners can find extensive training to get up to speed on basic options strategies and experienced options traders can place virtually any options strategy conceivable. Beyond options trading, OptionsXpress also serves futures traders well. Rates are competitive, particularly for frequent traders who may enjoy volume discounts. OptionsXpress trading platform is best for active options traders as well as futures traders. New traders will find OptionsXpress’s virtual trading platform an excellent testing ground to practice new options trading strategies. Although back-testing and customization isn’t as advanced as on the thinkorswim® trading platform, the OptionsXpress trading platform user interface is more friendly, especially for new traders. OptionsXpress trading platform has pros and cons as described below. ✅ Options Trading: OptionsXpress trading platform has a core competency serving active options traders. The company has options in its DNA which means, unlike some better known brokers, OptionsXpress can typically serve you rapidly when placing advanced options trades, and their algorithms and staff have a deep understanding of margin implications for combination strategies. ❌ Costly For New Options Traders: OptionsXpress targets experienced options traders and rewards them with volume discounts but new options traders are penalized with high cost structures that don’t compare favorably to discount brokers with deep options expertise like TastyWorks. ✅ Virtual Trading Platform: OptionsXpress has an excellent virtual trading platform that simulates all the functionality of its real world trading platform. This allows for a risk-free opportunity to learn options strategies. ❌ Mutual Funds Costs: Although OptionsXpress parent company, Schwab, has no-transaction-fee (NTF) mutual funds, OptionsXpress customers don’t receive the benefit. ✅ Educational Resources: OptionsXpress hosts webinars, provides video on-demand education, and because Schwab owns OptionsXpress, you can also visit representatives in person at local branch offices. ❌ Customization & Back-testing: For experienced traders looking to perform extensive back-tested simulations and custom scans and screens, OptionsXpress falls short compared to thinkorswim®. ✅ Free Broker Assistance: Across the brokerage landscape, few brokers offer free trade execution assistance but OptionsXpress stands out among its peers in so doing. ✅ Automatic Order Optimization: Frequent traders will appreciate the Walk Limit feature from OptionsXpress that mitigates the need to track and adjust orders by doing so automatically. ✅ Trade Ideation Tools: What strategy is best in high volatility environments? How can you take advantage of quarterly earnings? 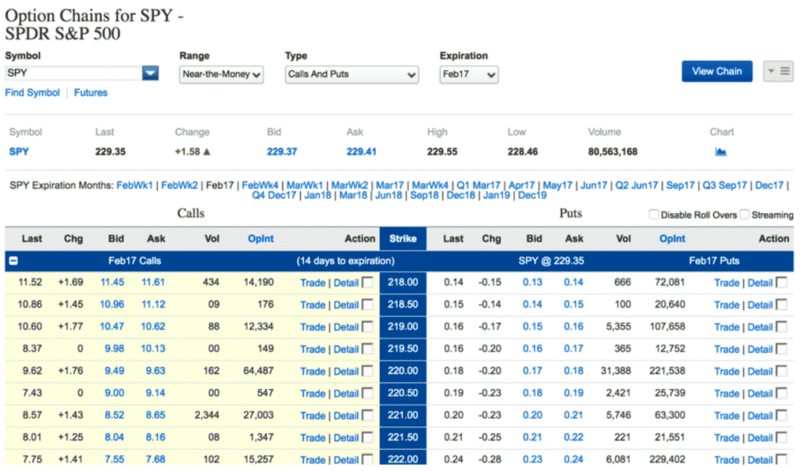 What options strategy works best in a trending market? OptionsXpress provides suggestions to these and many other queries via its Idea Hub and Trade Pattern ideation tools. ✅ $0 Account Balance Minimum: No minimum account balance threshold applies to standard, taxable brokerage accounts but qualified IRA accounts have a $200 account balance minimum. OptionsXpress caters to the following securities. OptionsXpress fees are charged on trading transactions as follows. OptionsXpress targets active options traders, provides excellent ideation tools such as IdeaHub and Trade Pattern, offers no account balance minimums on non-qualified accounts and just $200 minimums on IRA accounts, has attractive volume discounts, extensive and capable support staff, and beyond options traders, serves futures trades and facilitates mutual fund investments too.